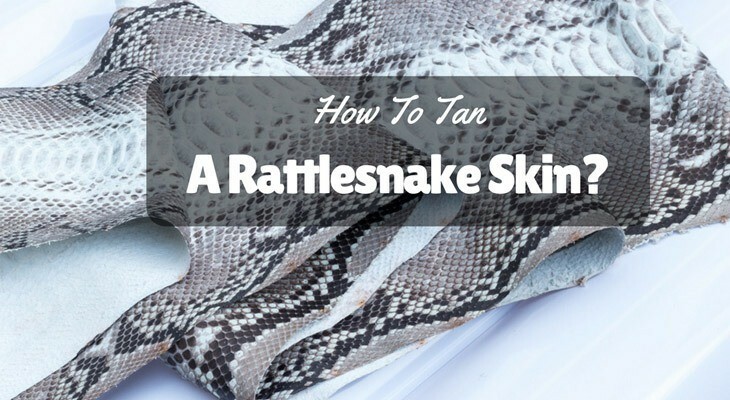 How To Tan A Rattlesnake Skin? - Get Crafty Using A Rattlesnake Skin! 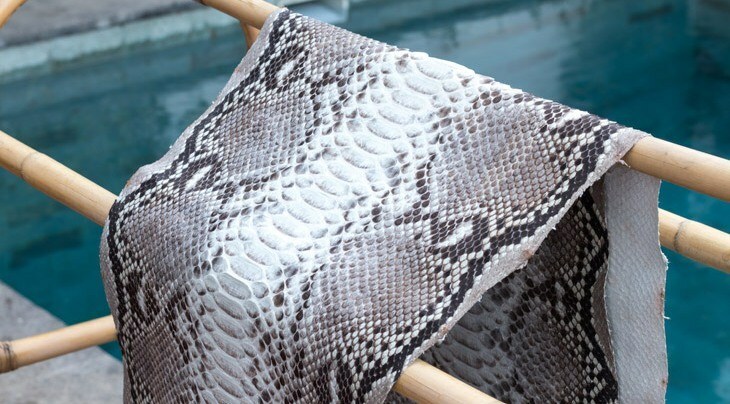 →Get Crafty Using A Rattlesnake Skin! Does the idea of a snake make you creepy? Or is it the other way round and snake meat makes you go yum-mmm? While snake skin is used as an effective treatment material, decoration is also possible with it. Bathroom or a silver plated bowl, every single article will get liven up with its use. Rattle snake, which is one of the most poisonous kinds, can be used for such purposes. And while catching a snake is pretty dangerous, tanning the skin also involves few important steps. And this guide will exactly teach you how to tan a rattlesnake skin! While the idea of tanning may fascinate you and energize and excites you enough to give it a try, keep handy the mentioned materials and start the process. Well remember when you’re killing any particular creature, it is essential to utilize every bit of it and with the right set of tools and supplies, the process can be carried out effectively. Check out the list of items below. Thumbtacks, plastic works well than a metal build. Cork board, depending on the size of the skin which can fit in easily. Weights or rocks can also be used. Tanning solutions, which is pretty easily available in online shopping portals. Note that, on removing the skin, put it in a zip lock bag and store it in the freezer, till required again to stop the skin from degrading. So, finally when you are set to tan, you need some preparations beforehand to do the process in a perfect way. When you are ready, you can take the preserved skin out from the freezer and defrost the skin by putting the ziplock bag in a pool of cold water. Let it be in the cool water. Keep it there for some time unless it comes back to normal temperature. You can measure the temperature with your finger tips and can bring it out. There are so many methods for carrying out the tanning process effectively. So, after thorough research, here we present you one of the simplest and easiest processes of doing it. Check it out! Fleshing: Well, when you try to remove the skin, some amount of flesh will remain to adhere to it. Sometimes it may be difficult enough to get rid of this unwanted skin. So, what should you do here? You can use a sharp knife in this case instead of going for a blunt blade. So using the knife, how to tan a rattlesnake skin? Hold the blade at an angle of 90 degrees and just scrape off the skin. Be confident enough and increase the pressure whenever needed while giving some downward force to have a clean scrape. While doing so, stretch the snake out with the other hand. Fleshing requires quite a long time, and some patience is what you got to show here. Pinning: This is one of essential steps and here you need some of the materials. On a large cork board or plywood sheet, lay the skin with the outside part of the snake facing down. Make sure to keep the scales straight, stretch wherever required and put the thumbtacks in a line on the side of the skin. Take extra precautions while doing so in the tail section. Drying: Put and spread some salt all over the skin to ensure no moisture is present. Double the amount in the tail region. The whole process is dependent on the temperature you are sitting in right now. In a desert, drying will be completed just in an hour. However, it is best to dry it overnight. When the skin is dry, brush off the excess salt or any extra pieces of chunk if left. Tanning Solution: Put a generous amount of tanning solution to the skin. Don’t overdo it and just put the amount that is required to soak up the entire skin. It is formulated in a way not to evaporate fast, so watch for an orange-ish texture and let it soak completely overnight. The next day when you’re satisfied enough with the soaking, remove the extra solution by simply patting it dry with a rag. Pressing: In this step, dry the skin by putting in some clothes over the skin. Place it in a flat rag and put some more rags to cover it. Take extra precaution that the skin is straight and wrinkle free. Finally, put a plywood sheet and put some weight on it. Don’t worry about the weight as plywood sheet will evenly distribute it. After this final step, and when you take out the skin, some of the scales may fall off. This is a pretty common sight owing to the different layers the snakes are made off. Peel all the scales to give it a uniform look. Peeling them is necessary to avoid from falling off all over the place gradually if you leave them at this stage. Following this process, you can have a super tanned rattlesnake skin. Now that the skin is ready enough to be used in any form of decorative ideas, select where you want to place it and with the help of glue, just paste it tightly. Wrap it in a cloth and keep it pressed for some time. If not using them instantly, you can either roll or hang them, but ‘Pressing’ may need to be followed before using it again. Simply follow these steps and you will be extremely pleased with the end result. The method is pretty inexpensive and with just few bucks, some excellent crafts with a rattlesnake skin can be achieved. Just little patience is what it needs. And for a novice, there cannot be any better way than trying it out with this method. Even if you are preserving the dried skins, make sure to rub some glycerin or moisturizer that is easily available in the market. By the way, if you are using ar-10 rifle, the best scope for ar-10 is the good one you should had. How To Measure The Length Of Pull For A Gun? Single Cam Vs. Dual Cam Bows: Which Is Better?